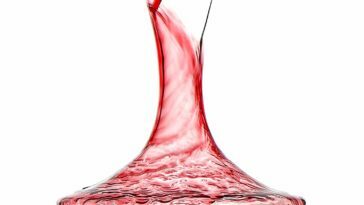 There are a lot of reasons to drink wine. 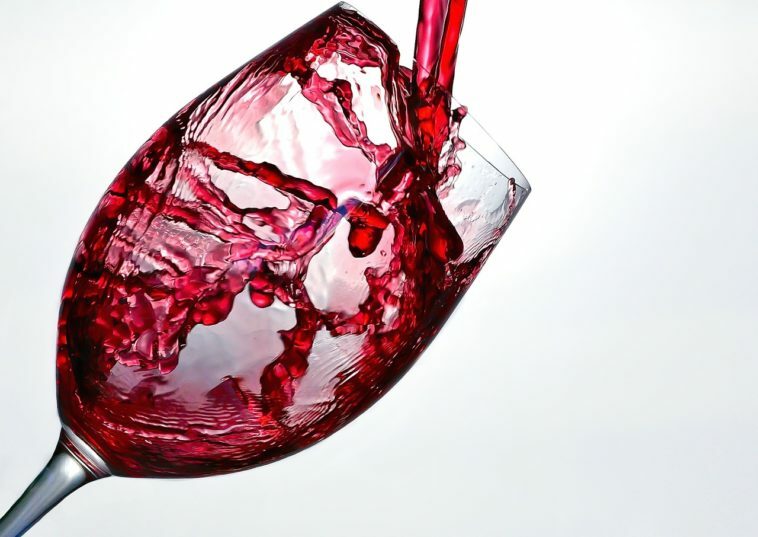 In addition to making you look classy and sophisticated, drinking wine can also present various health benefits. Nonetheless, when it comes to using wine glasses, you can have the option of utilizing disposable glasses for a particular event or plastic wine glasses for a worry-free evening. The good news is that either of these wine glasses expands your options for drinking wine. 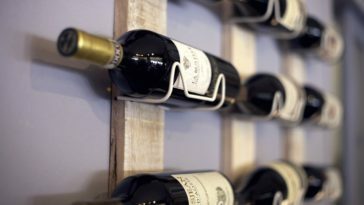 Lucky for you, this comprehensive shopping guide has everything you need to know about choosing the perfect set of plastic wine glasses. We will also be highlighting some of the top products under this category. Differentiate the different types of plastic wine glasses. Figure out which wine glass would go perfect with a particular wine. Compare and contrast the top three plastic wine glasses in today’s market. 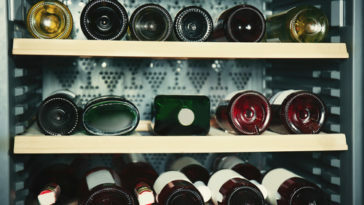 Identify the pros and cons of each plastic wine glass product. Buy the perfect set of wine glasses for your event confidently. What are the Different Types of Wine Glasses? When it comes to shopping for the perfect set of plastic wine glasses, it is important that you start with properly identifying its different types. By doing this, you’ll be able to narrow down your search to at least the top three products. 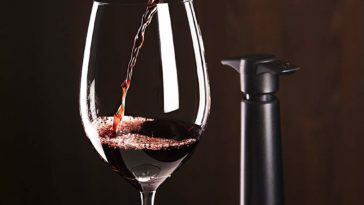 With that in mind, do note that wine requires a specific set of serving procedures. 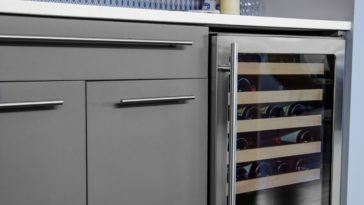 Whether you opt for robust or light, red or white, or sweet or dry, figuring out the best type of wine glass for you will ensure that you make the most out of your wine collection. To make things more coherent, we have listed down the different wine glasses according to the different types of wine. When it comes to drinking red wine, large wine glasses are the best. These bowl-like glasses will be much rounder and fuller. 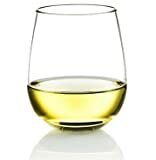 These typically have a larger opening than that of white wine glasses. With the structure of these wine glasses, you’ll be able to dip your nose into the wine glass to detect the aroma. 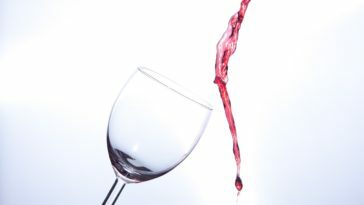 As for drinking white wine, you should know that these are typically made from red-colored grapes or green-colored ones. Nonetheless, white wines are better served with lighter foods like fish or poultry. 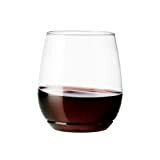 This is an 18.5-oz cocktail glass that is perfect for drinking wine. 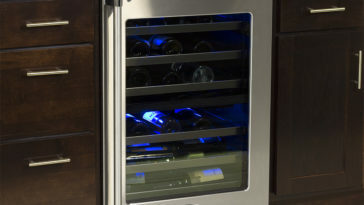 It can complement any type of beverage from mixed drinks to white wine. You can bring this set of plastic wine glasses everywhere without having to worry about breaking them. 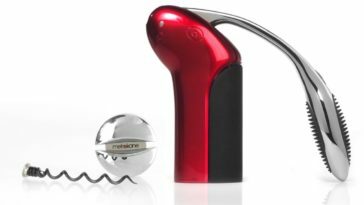 Should you wish to host a wine-tasting event, this product should be on top of your list. One of the best things about a set of plastic wine glasses is that it looks like glass but it is unbreakable. It is shatterproof and you can be sure about its durability. Simply throw these Michley’s set of plastic wine glasses in the bottom of your picnic basket and you’re good to go. 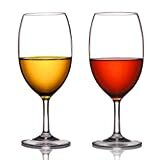 In addition, these set of plastic wine glasses will not dent, unlike stainless steel glasses. It is crucial that you take into consideration the safety of those who drink from your set of plastic wine glasses. With the Michley’s wine glasses, you can be sure that these set of plastic wine glasses does not contain BPA or BPS, also known as bisphenols. The Michley’s set of wine glasses is perfect for any type of occasions. You can use these for wine parties, family gatherings, pool parties, and so much more. You can rest assured that these are both BPA-free and BPS-free, which means that the plastic used is safe and tested. In addition, it does not dent nor shatters easily. This cocktail glass is an example of a stemless set of plastic wine glasses. This product is designed in California and made in Taiwan and the United States of America. With this shatterproof wine glass, you can add another layer of sophistication to your dinner party. One of the best features of this set of plastic wine glasses is that it is 100% recyclable. By using this product, you’ll be able to have a sustainable dinner party that gives back to the environment. 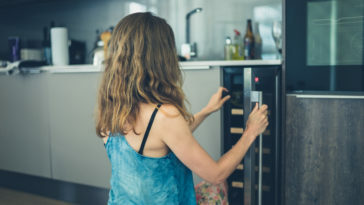 A BPA-free set of plastic wine glasses ensures that the materials used for construction are made of a high-quality polymer which produces crystal clarity. In addition, the manufacturing process involves the creation of thin rounded rims to add another layer for a smooth drinking experience. 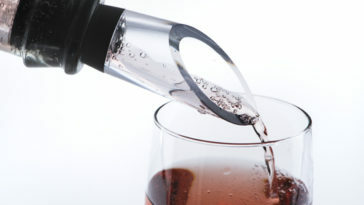 With the Tossware shatterproof set of plastic wine glasses, you are guaranteed with spill-proof lids. It is a functional product with a modern design. Also, the convenient straw port makes it perfect with kids. 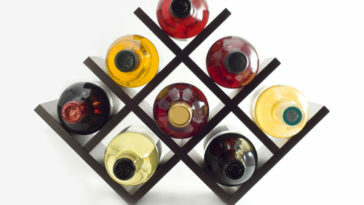 Another great feature of the Tossware set of plastic wine glasses is its patented interlocking stackability. 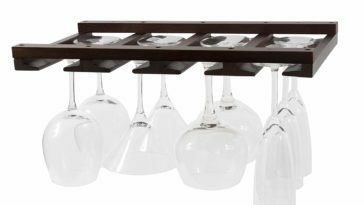 With this feature, you can save counter space as well as make it easy to carry more wine glasses at once. You simply click them together and pop them apart once it’s time to use them. Tossware obsesses over making the ordinary very extraordinary. For a simple dinner party, you can make use of a set of elegant and versatile plastic wine glasses. Not only are these sustainable, but their wide array of key features also make every drinkware of Tossware convenient and upscale as much as possible. 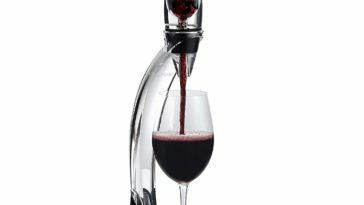 As drinkware aficionados, Tossware takes time to do valuable research, development, and design so that each set of their plastic wine glasses can satisfy and surpass each customer’s expectations of ease, function, and elegance. You can enjoy them at parties or even simple dinner events. Tossware set of wine glasses cannot be subjected to a temperature of about 84 up to 86. The Tossware set of wine glasses are great for small parties between friends and family. However, it is highly discouraged that these be used in sophisticated business dinners or lunch parties. 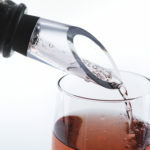 In addition, this set of plastic wine glasses offers a variety of features that are beneficial to its customers – including the use of BPA-free plastic, Tossware patented interlocking stackability, and unique spill-proof lids. This set of wine glasses by Poolside Creations are designed and extensively tested to ensure that customers can safely enjoy their wine or any of their favorite beverages for that matter. In addition, you can easily use these for any type of occasion – dinner parties, meetings, a relaxing day at the pool, outdoor BBQ, or even wine-drinking events. One distinguishing feature of the products of Poolside Creations is that they fully enjoy engaging in the production process of wine glasses. They take the time to meticulously design their drinkware to match any type of wine – be it red or white wine. Poolside Creations have chosen Eastman U.S.A. Tritan for the materials of their drinkware. With this decision, you can rest assured that their products are shatterproof, dishwasher-safe, and durable. The beauty of using Poolside Creations’ drinkware is that you can use it for any type of beverage, be it wine or tropical drinks! Despite it being made of plastic, you can ensure an aesthetically pleasing cup that isn’t tacky throwaway cups. Moreover, you do not have to worry about broken glass. You can ensure your peace of mind as well as have utmost tranquility without sacrificing the look of a real wine glass. With this drinkware, you can definitely use it for drinking those bright and colorful tropical drinks! 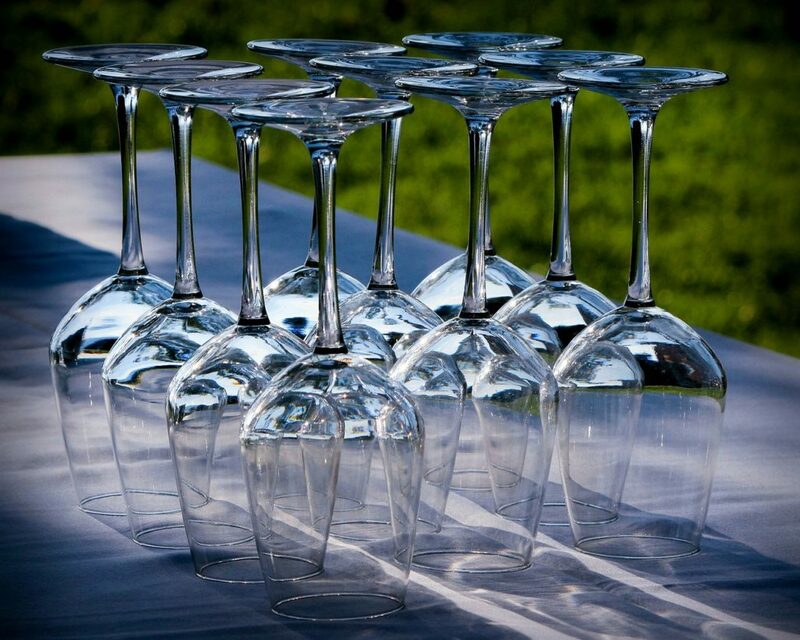 These set of wine glasses are the perfect addition to your outdoor party. In addition, these stemless wine glasses are great for your next pool party. You can definitely ensure that hosting any kind of event would be fuss-free. 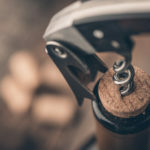 You’ll feel much more comfortable and secure to toss these in a suitcase or a picnic basket – or even pouring your finest Pinots at the table. A set of wine glasses that are BPA-free and EA-free ensures its customers that there is an added layer of safety and security when it comes to the materials used for its production. 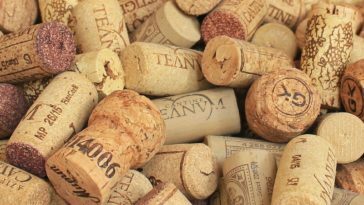 These certifications entail that you are using high-quality plastic that does not bring about chemical compounds that are harmful to the drinker. Some of our final thoughts when it comes to this product is that it would be a perfect addition to any pool party. 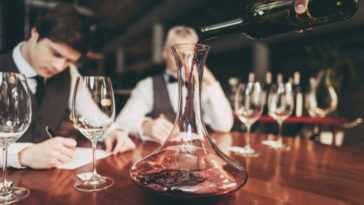 You can ensure that it fulfills its function as a wine glass; however, you may want to reconsider using these for a business meeting or any formal dinner party. Furthermore, despite it being plastic, you need to be careful when storing it as its durability is quite questionable. When it comes to buying wine glasses that are made of plastic, you have to consider the type of plastic used and the kind of occasion wherein you’ll be using this drinkware. First and foremost, BPA-free, BPS-free, and EA-free are characteristics of plastic products that are necessary to ensure that you are getting the best of the best quality. On another note, the aesthetics, design, and other special features of the product can heavily contribute to whether or not the set of wine glasses that are made of plastic will be worth the purchase. Most customers are looking for wine glasses, despite being made from plastic, still posits an aura of class and sophistication. Always look for a plastic wine glass that emits the same level of design like that of an authentic wine glass. The versatility of the drinkware is also an important factor to consider since you would want a type of drinkware that can be used for different types of beverages. Not only is this tactic a cost-effective one, but it can also present you with ways to reuse and recycle glasses for different types of occasions. 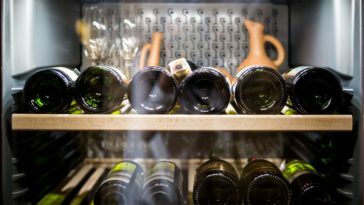 One feature that is rare in most wine glasses that are made from plastic is its dishwasher-safe aspect. Most plastic glasses are susceptible to damage when subjected to dishwasher-based cleaning. Do keep in mind that checking the product description or doing ample research on the company can go a long way. One tip that can greatly help you with your shopping for wine glasses is to always buy from known drinkware brands. In the end, narrowing down the list of possible options for plastic drinkware can be done by truly identifying the reasons for buying them. Once you are familiar with the reasons as to why you are buying these plastic glasses, you’ll be able to identify which features are more important. Thus, effectively narrowing down your search.